Warrenton bed and breakfast travel guide for romantic, historic and adventure b&b's. 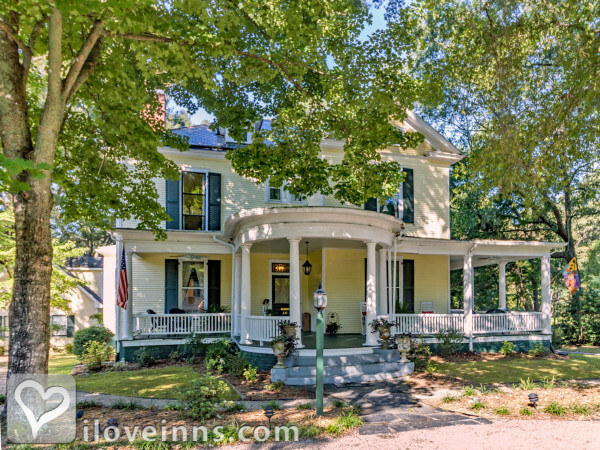 Browse through the iLoveInns.com database of Warrenton, North Carolina bed and breakfasts and country inns to find detailed listings that include room rates, special deals and area activities. You can click on the 'check rates and availability' button to contact the innkeeper. Warrenton, North Carolina is known as one of North Carolina's favorite vacation destinations. It's a great place to visit for those who want to learn more about the country's history. Gaston and Kerr Lakes are popular as fishing spots. The lakes are also great for boating and swimming. Shops include C C's, Odom's Flower Shop, Just Flowers, and A Taste of Eden. Warrenton also has a number of great coffee shops where visitors can mingle with the locals. The best restaurants in the area are Hardware Caf�, Midway Caf�, Joe's Place, Midway Caf� and Grill, Newt's Grill, Trout & Catfish Restaurant, and Ann's Kountry Kitchen. Warrenton bed and breakfast inns are the lodging of choice. By Ivy Bed & Breakfast.